In 1993, a horde of Californian ‘police and prosecutors spent millions of dollars to create a case whose foundation never existed’.1 Their fruitless efforts were to incriminate Michael Jackson, a black artist who was the most commercially successful in the world. Jackson, who was in Russia on his Dangerous tour, wrote the song, Stranger in Moscow, in response to the severity of his accusations, the eagerness of the media to sensationalise them and the willingness of the public to believe them. 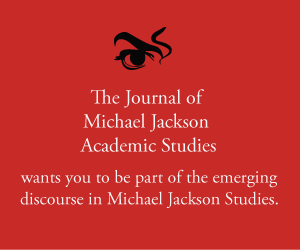 This essay examines how Michael Jackson’s Stranger in Moscow, relates to philosopher, Michel Foucault’s concept of ‘power’. With the permission of esteemed academic, Professor Michele Wallace, we are able to publish this culturally and historically relevant article, written and published in 1989 at the height of Jackson’s post-Thriller and Bad success. We have also included, with permission, the artwork of Mrs Faith Ringgold, also created in 1988.